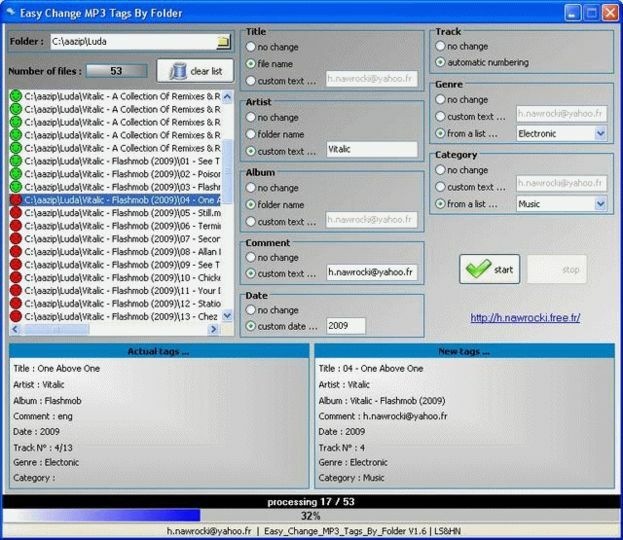 Easy Change MP3 Tags By Folder is a tool that can edit the tag information inside MP3 files. It will use the folder structure information to change the tags. Do not use the tool if you already have good tags and have no problem with organizing in media players. NOTE: This tool is supported by ads.